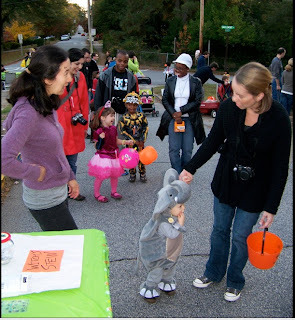 Medlock Area Neighborhood Association (MANA): MANA Halloween Bash was Spooktacular! The annual MANA Halloween bash was a HUGE success!!! 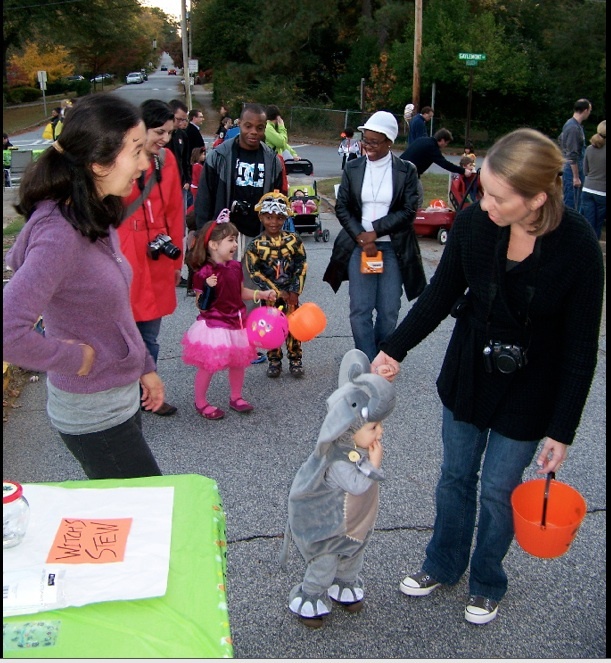 This year we had the largest attendance with close to 150 neighbors participating in crafts, games, and trick-or-treating. There was a lot to do including a Candy Corn Relay, Pin the nose on the Pumpkin, Fear Factor (a favorite with the boys), and crafts such as pipe-cleaner pumpkins and BOOkmarks. Children and adults alike were into the Halloween spirit dressing up in some amazing costumes. Everyone was there, from tractors and Thomas the tank engine, princesses, dolphin and trainer, pig and farmer, and even a scary Jason from Friday the 13th! MANA also sponsored a neighborhood-wide house decorating contest. Many neighbors rose to the challenge, and though the decisions were tough, it was finally narrowed down to two. First place- House on Desmond at the corner of Scott Circle. This year they really outdid themselves with not just creepy figures, but lots of smoke and sound effects as well. Definitely spooky and creative. Second place- On Scott Circle, at the corner of Desmond. 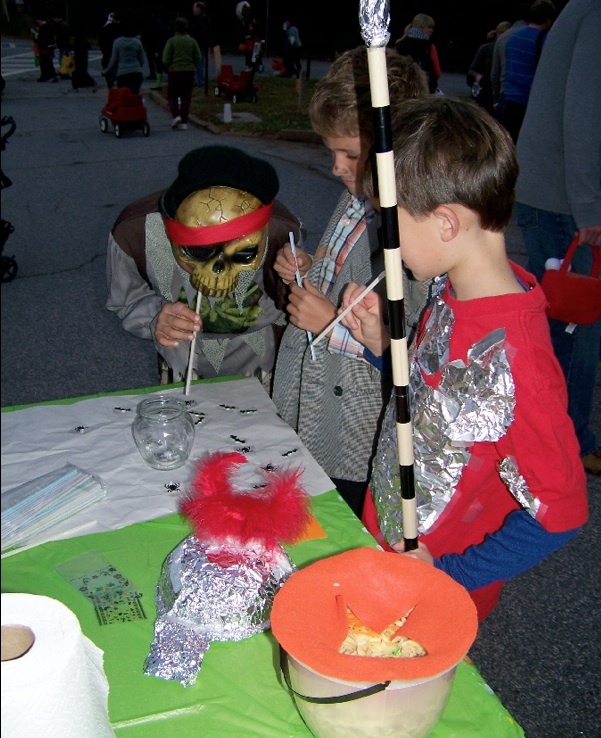 Very creative set-up with a unifying skeleton theme, and little kid friendly. Thanks to all the houses that entered the contest. We look forward to seeing your houses again next year! 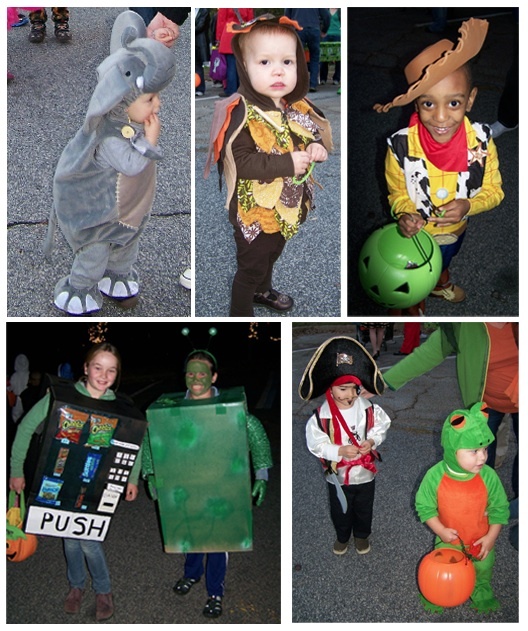 We would like to thank all the volunteers that made the Halloween bash successful. And a very special thank you to those who did so in costume! Carla, Kathryn, Adrianne, Barbara, Bev, Judy, Stephen, Theresa, Pat, Michelle, Jean, Kerri, Sherri, Tom, and Marla all volunteered their time and effort to bring us such a wonderful event. And thanks to Barbara for the images below.